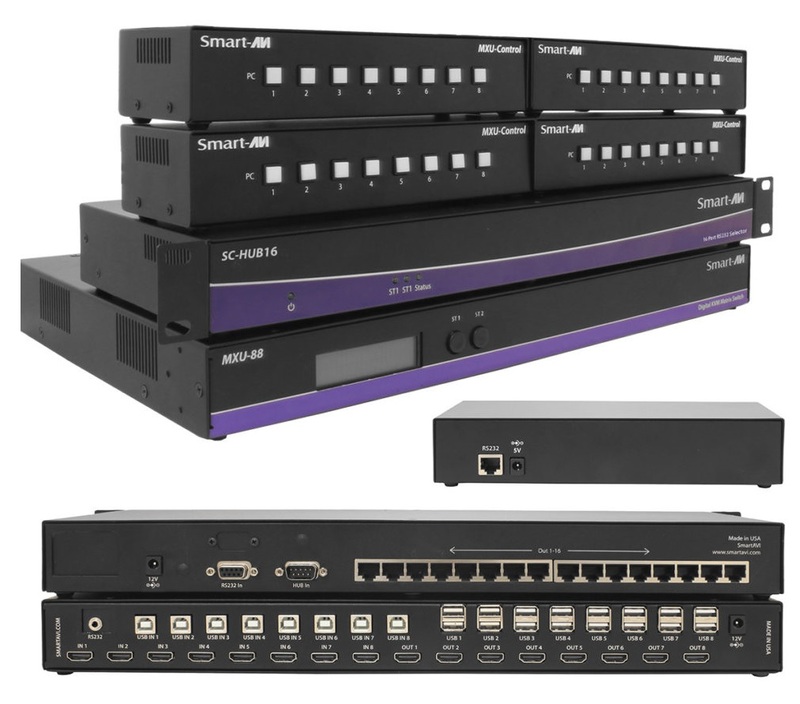 The MXU-88 Plus is the latest upgrade to one of SmartAVI’s most powerful and efficient matrix switching solutions. This 8X8 switching hub grants up to eight users shared remote access to as many as eight remote work stations and transparent USB 2.0 devices. Great for applications such as multi-user remote supervision or group-based video editing projects, the MXU-88 Plus excels even more at expediting work-flow for digital devices of various kinds. Capable of displaying HDMI-based video at resolutions up to 4K (3840×2160 @ 30Hz), the MXU-88 Plus is perfect for non-emulation KVM operations where a high degree of picture clarity is imperative. Better yet, the MXU-88 Plus is easy to control, outfitted with a simple two-button front panel interface and a web-based command console via Ethernet connection. The MXU-88 Plus’s 16-port USB 2.0 output is ideal for transparent peripherals like keyboards, mice, external hard-drives, cameras, printers, scanners, streaming devices, and more. 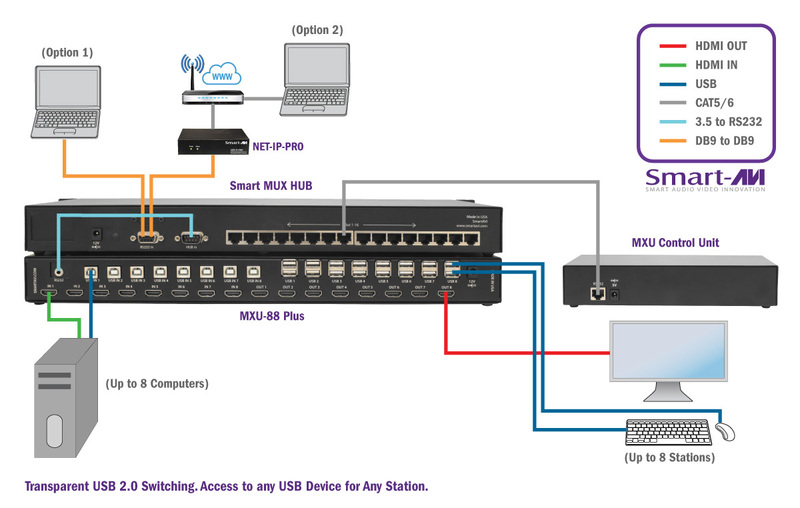 For comprehensive matrix switching and USB 2.0 device control remotely made easy, choose the MXU-88 Plus matrix switch powered by SmartAVI! - Max. Cable Length Up to 20 ft.